The other day I was searching for the bicycle shops in Chandigarh area. The name of one shop was “Bhonsle Cycle”. For a moment, I thought I was in Mumbai because of the Maharashtrian title of the name. Similarly, there is A jewellery shop in Manimajra, a large town in Chandigarh territory. Today there was an article in the newspaper about the upcoming festival of Ganesh Chaturthi being scheduled for celebrations by large population of Marathis in Chandigarh. Connection began to clear up. The third battle of Panipat came to my mind. Marathas then ruled many parts of Haryana and Punjab. Although they lost but Marathas being so brave and aggressive to reach Punjab is a fact. But the present population of these people is due to the proximity of head quarters of Northern Command of Army. Many army persons must have settled here. Also, due to the great improvements in the transportation systems mobility of people within the country has increased a great deal. People who work on central government offices also are posted in different parts of the country. I on my part have spent 22 years in Mumbai. This year marathi people here have begun gearing up to celebrate 50 years of the Puja. It all started in 1962 when first Marathi play was staged. 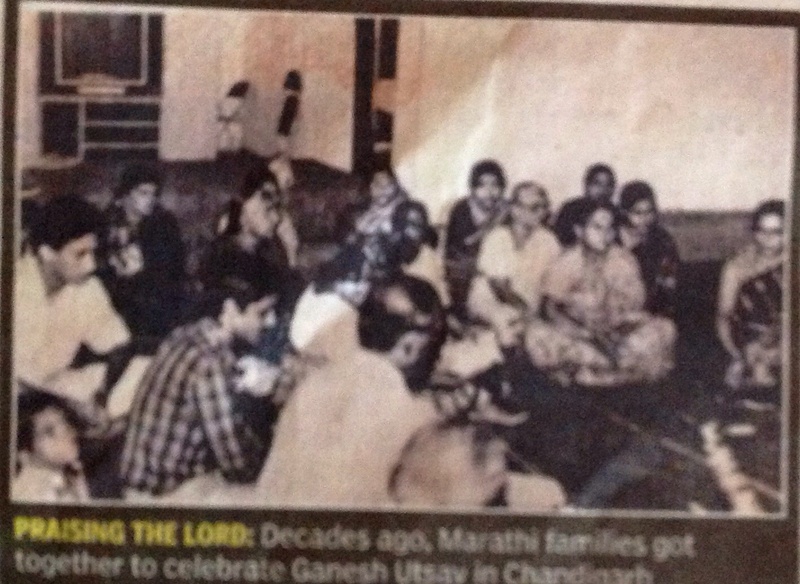 In 1964, first Ganesh Chaturthi was celebrated in the Tagore theatre and idols were immersed in Sukhna Lake. In 1965, the festivities were cancelled due to breaking of India Pakistan war. Many of the people taking part in arrangements and plays were from defence and went to perform their duties. In 1966, Air Force provided a spacious vehicle called “queen Marry” for carrying the idols for immersion. In the year 1967, Mandal was established officially and besides this festival others like Kojagiri, Sankrant and Gudi Padva began to be celebrated. In 1968, Utsav was celebrated in Government technical college premises. In 1970 the Mandal was registered officially. In 1978 Maharastra Bhavan building was inaugurated in sector 19. Since then it is a regular affair. People of Chandigarh also participate with great zeal. Since idol was not made here earlier, it was brought from Maharastra. It was the most difficult task since train connection is poor and also handling of the idol is a delicate matter. Once even, Air Force brought the idol by air lifting it from Mumbai. This year, there shall be a performance by renown artist Abhya Devare from Satara. 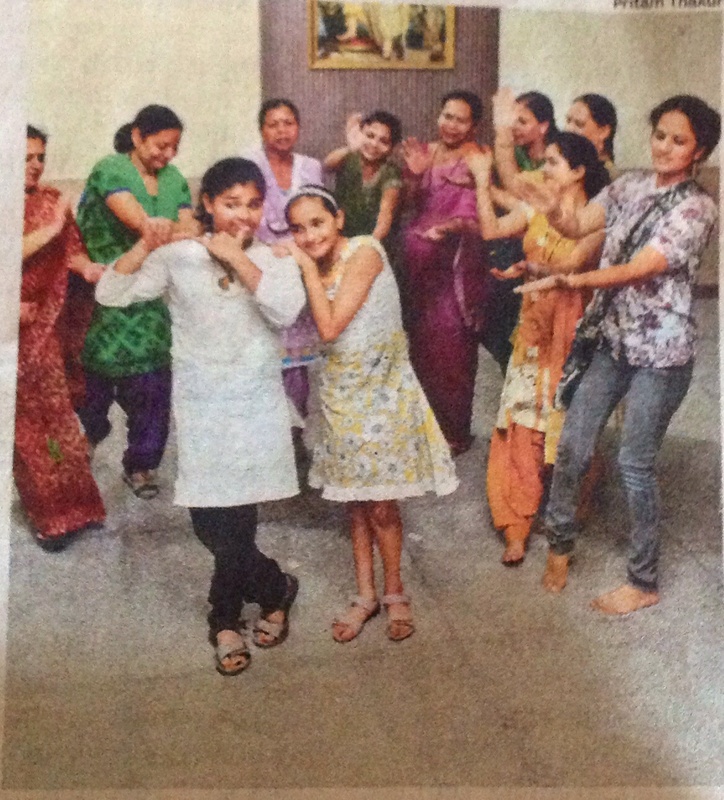 Krishan Leela will be performed by Pallavi and Kanhari Pinge. In the Anand Mela, there will be Si Khand, Puran Poli along with Kari. Marathi women have become good punjabi cooks here and cuisines shall be prepared by them.